If you know me, you'll know I'm an avid drinker of McCafe Premium Roast Coffee and have been for the past 5 years. For any of you who love McCafe, you may remember McDonald's coffee before it launched as McCafe in Canada back in 2011. Let's just say, it's come a long way! 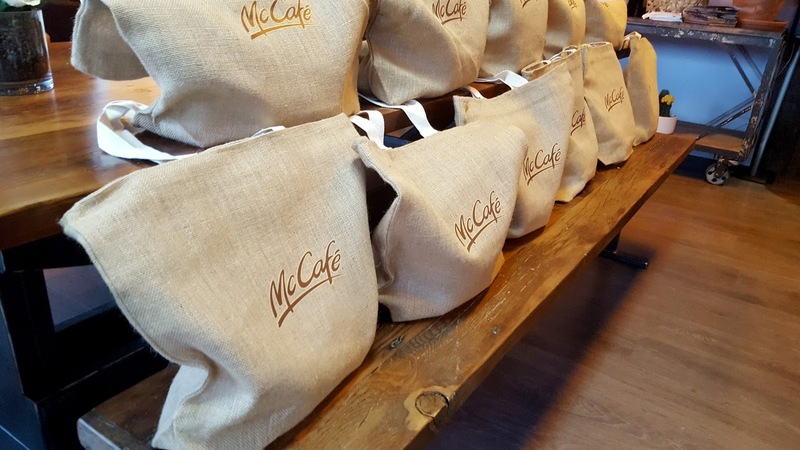 Today I had the opportunity to be a part of McCafe, A New Way To Cafe event, along with a few other Vancouver influencers. 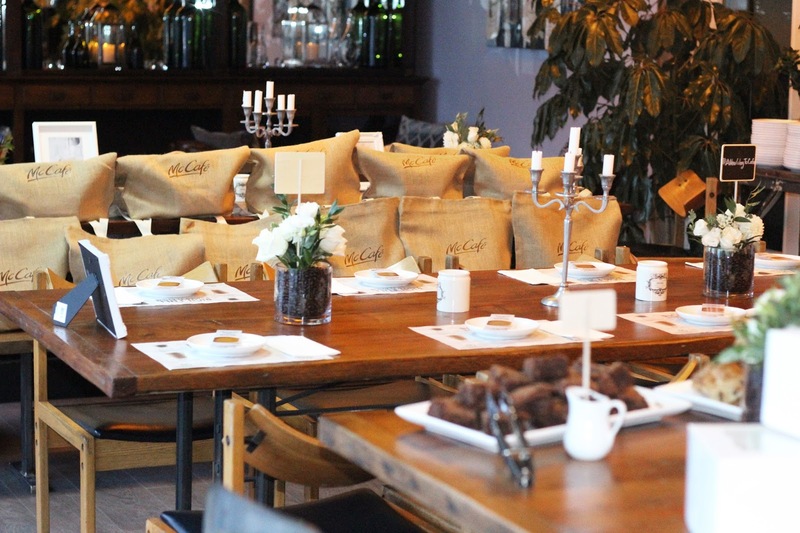 The event was hosted by the lovely Anne Parks, Director of Menu Management, who took the time to educate us on the difference between McCafe old and new bean blend, while showcasing their new and improved latte, espresso, and cappuccino brews. 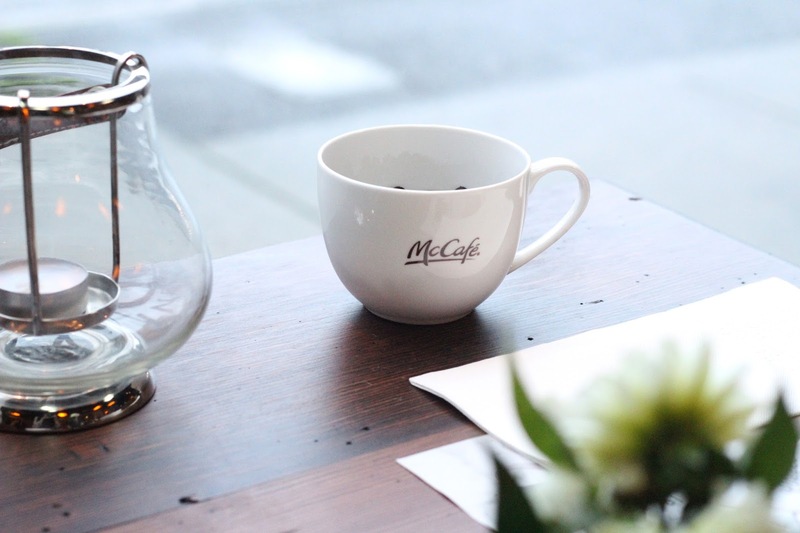 Being that McCafe is my go-to coffee on the go, I was really curious to taste the difference between the new beans and see how much better it could get! 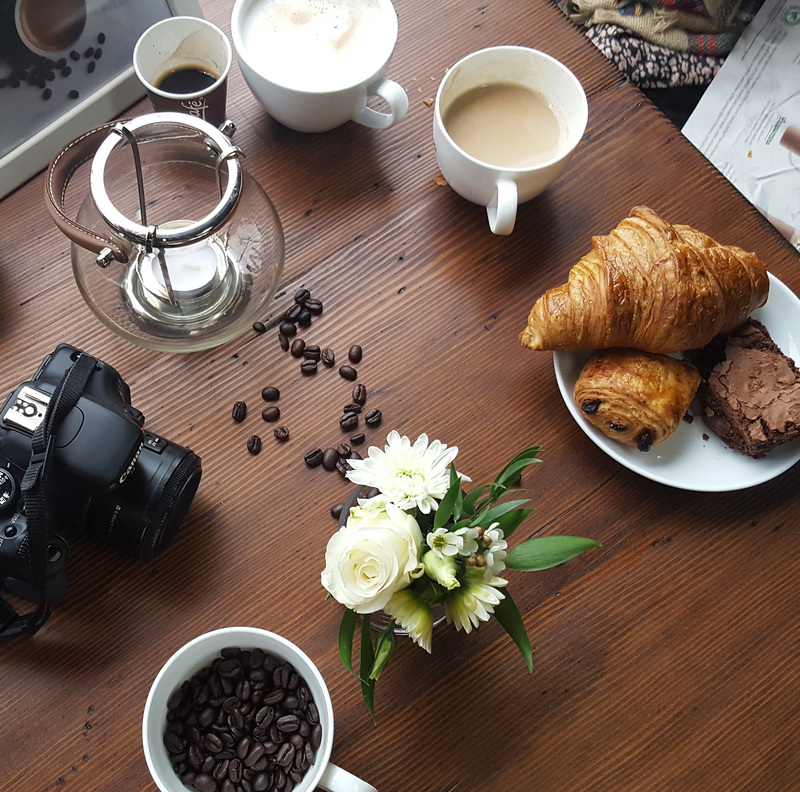 Now, I don't claim to be an expert when it comes to coffee, but being that I'm a huge fan of McCafe Premium Roast Coffee, I like to think I know a thing or two about their blend. I take my coffee black and occasionally add expresso, giving the coffee a strong bitterness. However, I found with the new bean, the coffee was a lot less bitter and much smoother. It was also interesting to learn that McCafe beans are sourced from Central and South America and now Indonesia! Thank you McCafe Canada for hosting such an awesome event and having us all! This sounds like such a great event, beautiful! I've never tried McDonald's coffee before, so it's good to have an idea for how it tastes and what to expect, it sounds delicious! I also love your outfit, that bag is so lovely! Thanks so much for sharing, beauty, and I hope you're having a great week so far! Oh fun event! It's been awhile since I've had McDonald's coffee but I do remember them having good coffee. 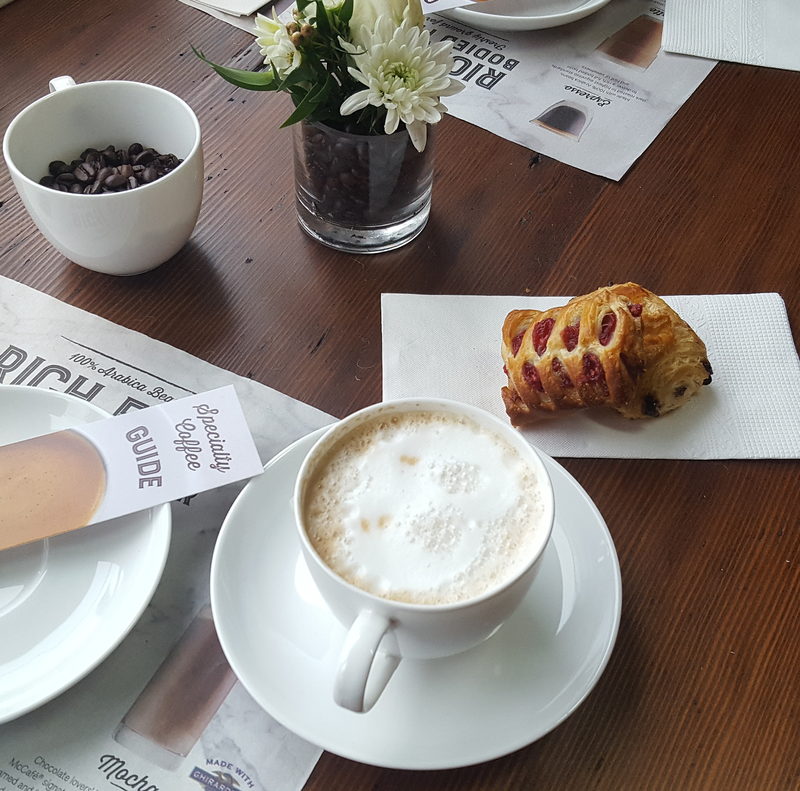 And that latte looks really good, and those are my weakness :) Thanks for sharing with us. Looks like such a fun event.. I definitely have had my share of McDonald's coffee so this sounds so interesting! Adore your fall look.. gimme those booties!! Sounds like a lovely event. I'm more of a tea drinker but it sounds really enjoyable. Great pictures. What a fun event! I've always been a fan of the McCafe coffees! You look SO adorable! Such a fun event. I don't drink straight coffee but I do like Mochas. Love your cute outfit, especially that bag!